Ezra Koenig and Father John Misty Explain Their Roles on Beyoncé's "Hold Up"
In one of music's most meta moments ever, Beyoncé pulled a Beyoncé and dropped another surprise album with the arrival of Lemonade on Saturday (April 23). Amongst some of the album's most recognizable writing credits were those on "Hold Up," and now some of the songwriters have weighed in with their involvement on the track. 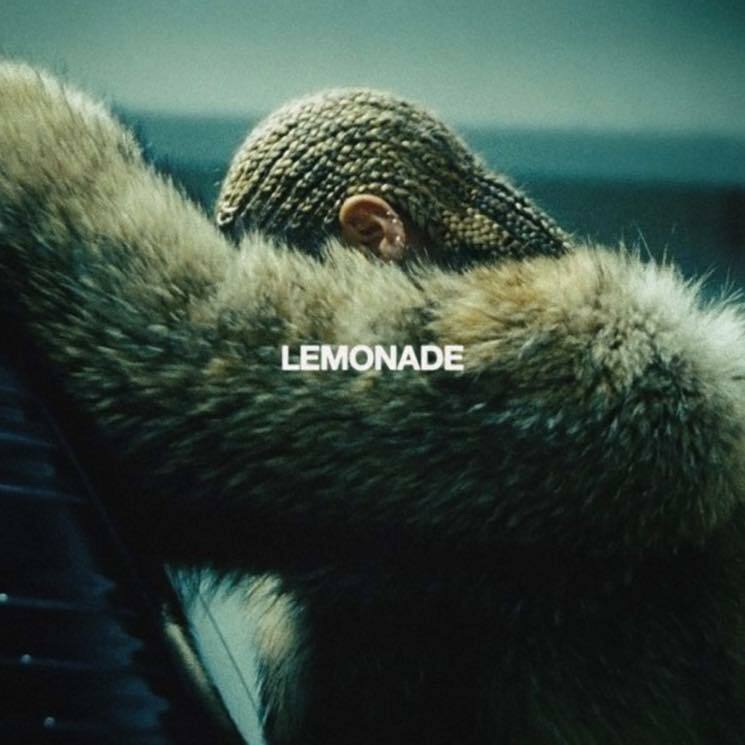 The second song on the album (perhaps better known for accompanying the video in which Bey sports a frilly yellow dress and goes HAM on the streets of New Orleans with a baseball bat) gives credit to Thomas Wesley Pentz, Ezra Koenig, Emile Haynie, Joshua Tillman, Uzoechi Emenike, Melo-X, Doc Pomus, Mort Schuman, Deandre Way, Antonio Randolph, Kelvin McConnell, Brian Chase, Karen Orzolek, Nick Zinner and Beyoncé herself. Joshua Tillman (a.k.a. Father John Misty) might have the best story so far, though. He took to Twitter to tell the epic tale of his airhorn playing prowess. About a year and half ago, my friend Emile Haynie played Beyonce some of my music, along with some tunes I've written for other people, back when she was looking for collaborators for the record…Pretty soon after they sent along the demo for "Hold Up", which was just like a minute of the sample and the hook. I'm pretty sure they were just looking for lyrics, but I went crazy and recorded a verse melody and refrain too that, unbelievably — when you consider how ridiculous my voice sounds on the demo – ended up making the record — right between picking up the baseball bat and decapitating the fire hydrant. I was mostly kind of in the dark, my involvement with the record kind of ends with me just sending off the demo, it wasn't until she came to my Coachella set in 2015 and told me personally it had made the record that I really had anything concrete with which to convince my friends that I hadn't actually gone insane. If you want to see the fire hydrant decapitation in question, Lemonade is currently streaming exclusively on Tidal, but is available for purchase through Tidal, Amazon and iTunes. UPDATE: A physical release of Lemonade has been set for May 6. It will arrive in a package that includes both a CD and DVD.